Established in October of 2008, our SERVPRO franchise has been in the Franklin County, MO community for 10 years. In 2018, we completed a large building addition which increased our office and warehouse space. 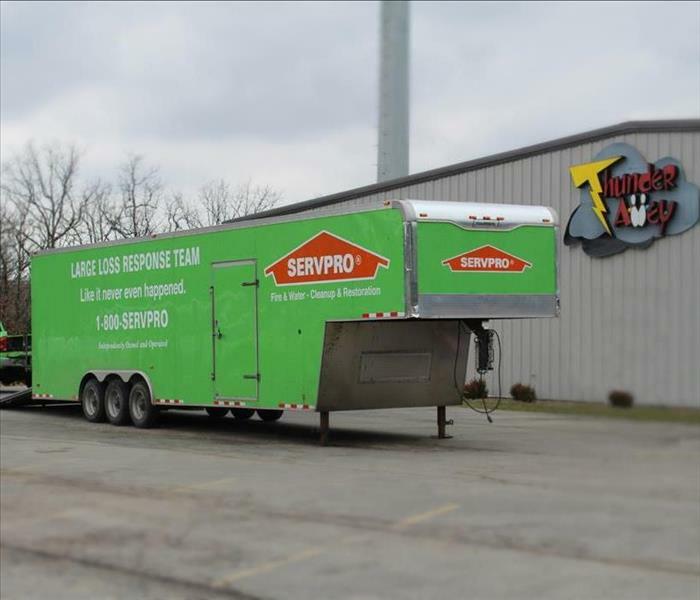 SERVPRO of Franklin County is more prepared than ever to be able to serve our community in times in need. During the flooding that devastated parts of Pacific, St. Clair, Sullivan and Union MO in both 2015 and 2017, we were there to help our community recover. We also served business and homeowners who had pipes freeze during the polar vortex in 2014. We helped these residential and business owners succeed in reopening their doors and getting families back inside their homes promptly. SERVPRO of Franklin County is locally owned and operated—so we’re a part of this community too. We are also part of a national network of over 1,700 Franchises, which enables us to respond quicker with more resources. For major storms and disasters, we can call upon special Disaster Recovery Teams strategically located throughout the country.